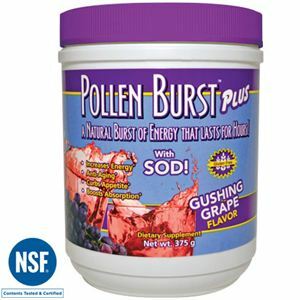 Featuring New Zealand Blackcurrant and the powerful antioxidant SOD, this great-tasting natural berry-flavored drink helps the body fight damage by free radicals, toxins and other environmental stresses. DIRECTIONS: Adults, pour contents of one stick pack into 12 fluid ounces of cold water, stir well and serve. Two stick packs a day is maximum suggested use. WARNING: If you are pregnant, nursing or taking medications, consult with your healthcare professional before using this product. Do not take if you are sensitive to caffeine. Keep out of the reach of children. 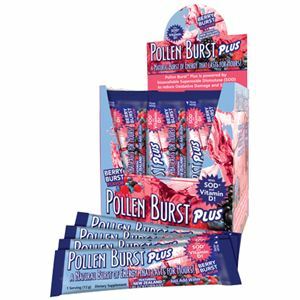 Pollen Burst™ Plus contains gluten (wheat extract). May produce a reaction in those individuals sensitive to wheat products. 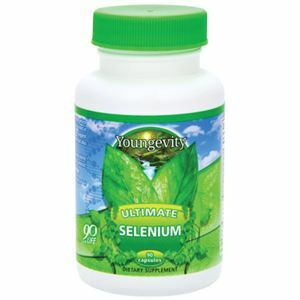 Vitamin A, Vitamin B1, Vitamin B3, Vitamin B6, Vitamin B12, Pantothenic Acid, Vitamin D3, Gluconolactone, Caffeine, Inositol, (Superoxide Dismutase/Gliadin Complex (GLiSODin®), Green Tea Extract (50% EGCG), Pollen Extract (G-40), Cassis Pigment Extract (Blackcurrant S.D. 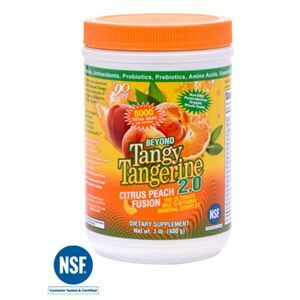 ), Fructose, citric acid, natural flavors, stevia, beet powder, Maltodextrin, Silicon dioxide.